◎ The CBRC document further corroborates our post-19th Congress assessment that Xi Jinping will focus on cleaning up corruption in the financial sector. On Feb. 11, the China Banking Regulatory Commission (CBRC) issued a draft document seeking opinion on managing the behavior of banking personnel in the financial sector. On the same day, state mouthpiece Xinhua published an article on the CBRC’s effort to guard against “moles” in the banking sector. 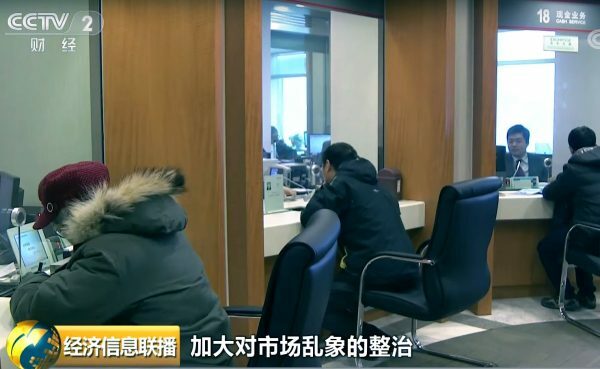 The article cited a CBRC spokesperson as saying that several banking fraud cases in recent years involved illegal operations and collusion between bank staff and outsiders. Xu Jia’ai, the central bank’s discipline inspection team chief, noted in an article on the Party anti-corruption agency’s website that China’s financial sector was in a mess partly due to a “cat and rat league” problem, or regulators colluding with lawbreakers. 1. Previously, banks blamed cases of fraud on “temporary workers” or “staff” while denying that the institutions themselves were at fault. The CBRC’s latest document will make it difficult for banks to abdicate responsibility for crimes committed by staff. 2. The CBRC document further corroborates our post-19th Congress assessment that Xi Jinping will focus on cleaning up corruption in the financial sector.